Wyzi is an advanced directory WordPress theme which is suitable to launch business directories or listing websites of any type. This professional directory WordPress theme is ideal to bring business owners and customers together to interact and do business with each other. Wyzi comes with useful features to present business owners and their services, news and products on one side, and let clients and potential customers easily search and find what they are looking for on the other side. Using this great directory and listings WordPress theme, you have all necessary features you need to launch very professional and successful business finder websites: monetization possibilities, social media interaction, multi-vendor WooCommerce stores, custom walls for business owners, and more. Disclosure: This page contains affiliate links to 3rd party products or services. If you choose to purchase these products or services, we may receive a commission from the product or service provider. The information on this site could be incomplete or outdated, so please always check the information on the external product page before you purchase. Are you a WordPress theme developer? 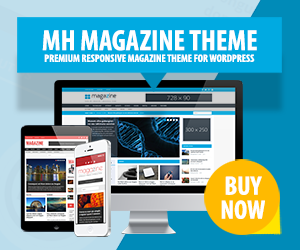 If you have developed high-quality WordPress themes and if you are looking for a way to promote your themes, then get your themes listed in our WordPress themes directory right away. Business Directory is a professional child theme for the popular Directory WordPress theme. With this directory theme you can create websites to showcase local or global businesses and monetize your services. Business Directory is fully responsive and offers a dedicated mobile app-view option to display content nicely and suitable for all kinds of mobile devices….